History Clean awards and reviews from industry experts all around the world! Yeah it’s true that History Clean is an award-winning evidence cleaning software that securely removes all recent activities of your PC and browsers’ history. Privacy, protection, cleaning, anonymity, shredding and automation are the five most amazing features of History Clean. 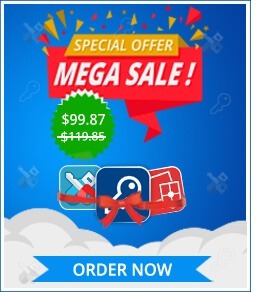 We certified that it is 100% capable of cleaning history of all major web browsers including Internet Explorer, Firefox, Google Chrome, Apple Safari and Opera. History Clean is an evidence cleaning utility that manages all your computer and Internet activity cleaning tasks for you. With a simple interface and easy to follow point and click operation, the utility manages to erase and remove all your selected activities from different category settings. A simple yet brilliant software that even takes care of automatic removal of all Internet Explorer activity history for multiple-users. History Clean has gathered rave reviews in our user community and is available as a free download for the evaluation version. History Clean is a very easy to use and charming evidence removal tool that makes it easy for anyone to conveniently remove all evidences from their computers as well as Internet browsers. The local as well as the digital footprints recorder in forms, cache, cookies, local temp files, and any other track and history recording sources are easily removed by History Clean. After checking it on all browsers we certified that History Clean helps you clear typed URLs, Cookies, Caches, Saved Password, Auto-Complete Forms, Browser’s History, Index.dat, Download History and Visited Links simultaneously through one click.